An easy to make and delicious side dish for rice, roti or pulao with Paneer and capsicums. 2. Add ginger, garlic, capsicum, paneer, tomato, chilli powder and coriander powder. 3. Add salt and sprinkle little water. 4. Stir and mix well. 6. Add the paneer cubes, methi and stir well. 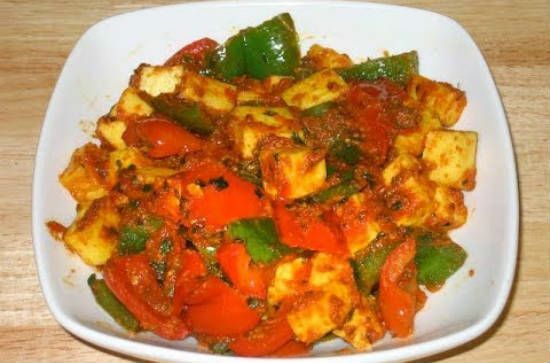 Feel free to comment or share your thoughts on this Paneer Capsicum Fry Recipe from Awesome Cuisine.